When I was a kid, before I started school, my mum would take me into town for the big weekly grocery shop. We lived on a farm and the weekly shop was a big event. My mum and I would dress up in our Sunday best and for lunch we would get take away cheese and salad sandwiches from the bakery and occasionally, if my mum was feeling particularly celebratory, a couple of chocolate eclairs for afternoon tea. When my older siblings were on school holidays these extravagant lunches never happened and we would always make sandwiches at home after shopping in town. As a result of these early memories I have an enduring love of the humble cheese and salad sandwich. I still like to get an old-fashioned cheese and salad sandwich from bakeries when travelling in the country. I always get the salad with ‘the lot’ even when this includes pineapple, something I find quite weird in a salad sandwich but it’s all about the total, authentic experience. Banh mi from the Vietnamese hot bread shop has become my contemporary equivalent of the old fashioned milk bar sandwich and my son and I are mildly obsessed with them. 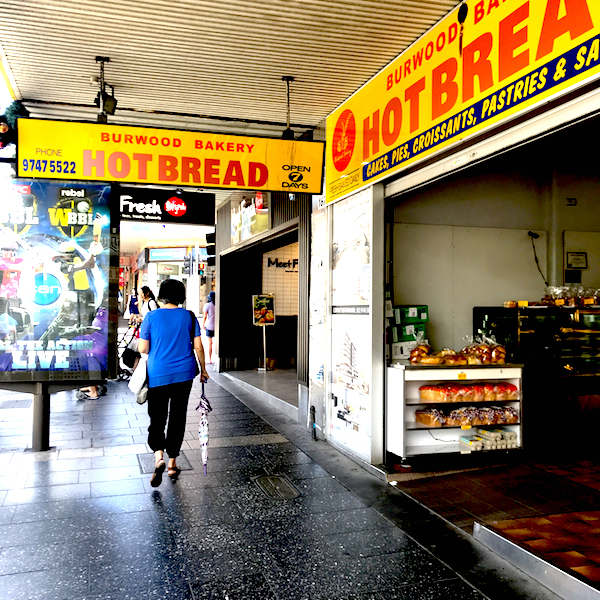 Our favourite local banh mi stop is the Burwood Bakery on our local shopping strip. There are a lot of Vietnamese bread shops in our area. The Burwood Bakery is not fancy or famous, there are no long lines or waiting times and there is only one vegetarian option a grated cheese and salad roll, but it is cheap, fresh and good. Their big point of difference is the crispy onions which are house made and baked on trays in the bread ovens. 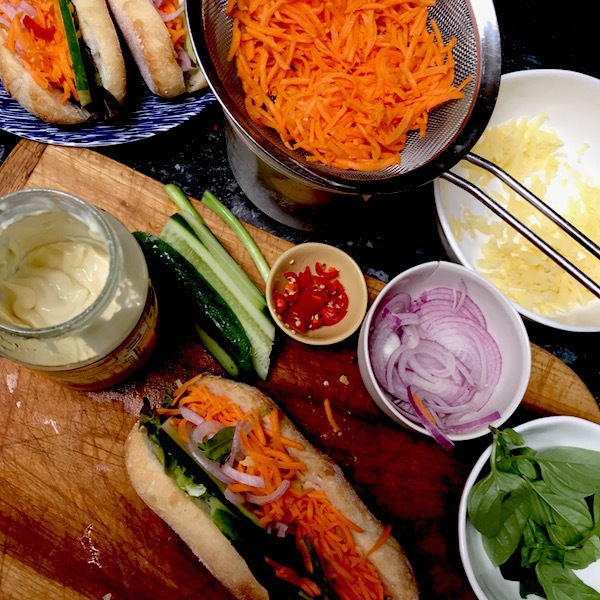 It may seem like a small detail but it lifts these rolls out of the ordinary, along with these lightly pickled carrots which are an essential part of any banh mi. Because my son loves these pickled carrots I’ve started making them at home. They can keep for up to two weeks in the fridge. In the summertime it is a great to have a tub of these in refrigerator, on the go. They have a simple flavour profile which means they can go with pretty much any style food, you can use them in rice and noodle salads, fresh rice paper rolls, as a side to Okonomiyaki pancakes, or stuffed in tacos, burritos and falafel rolls. In fact, they go with pretty much anything… even a simple, old-fashioned cheese and salad sandwich. Place water, vinegar, sugar and salt in a good size plastic container and mix until everything is dissolved. Place carrot in pickle brine and press down until all the carrot is covered. Let sit in brine for at least an hour, drain well before using. 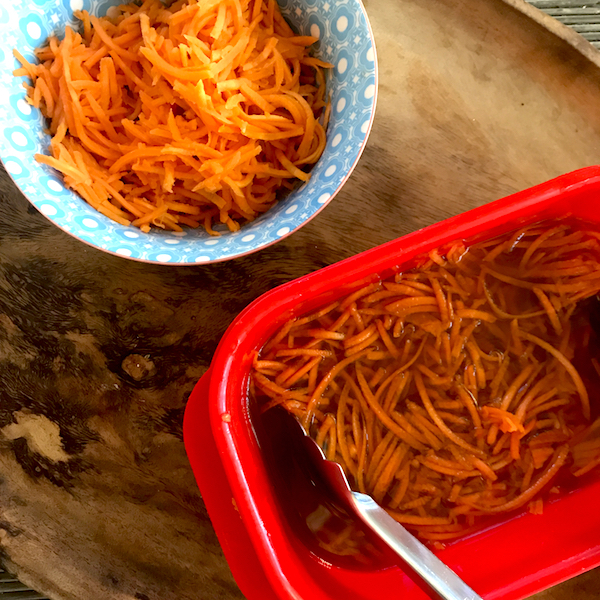 Pickled carrot can keep for up to two weeks in the fridge.